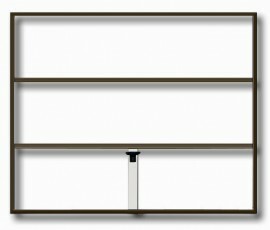 The Novoferm OFI is an up and over door delivered without the infill panel. This same Novoferm OFI door is used in the production of Novoferm Timber and GRP doors. It can be seen then that this is especially useful for customers who wish to make, or have made, a bespoke design garage door. A material could be used which is not in the standard Novoferm range. The door is complete with the main outer frame, tracks, lifting arms and springs. The sub-frame or chassis into which the panel of the door will be fixed is pre-installed into the outer frame. Also included is a full fixing pack with handle and locking. Hence, everything required to install the door and frame into the garage. The infill of the door is for completion by the customer or contractor. 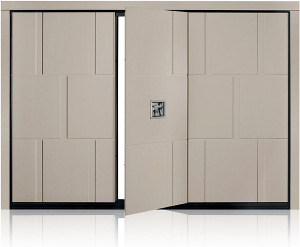 These doors are available in single sizes and come as standard in white or brown with matching frame. 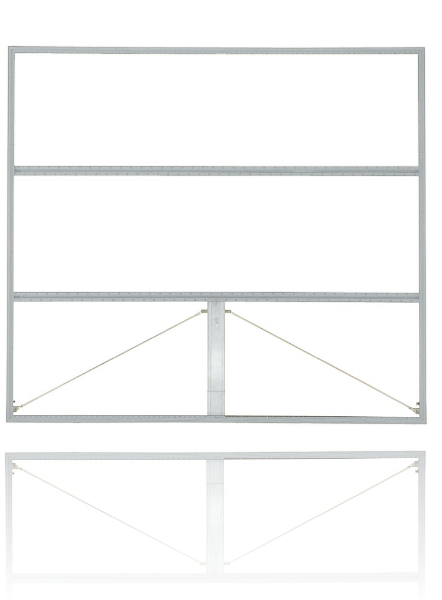 For larger double door sizes use the Novoferm OFI Magnum. The Novoferm OFI doors installed for customers by Lakes Garage Doors have primarily been infilled with timber. Oak is often used. Contractors also infill the doors with softwood tongue and groove boards to achieve a more cost effective timber door. 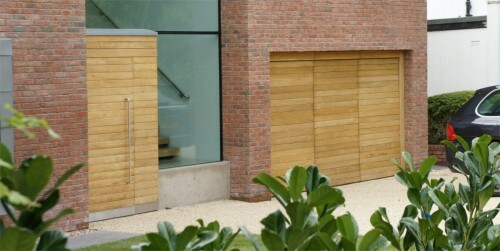 The door could be cheaper than the standard cedar doors available from Novoferm and other manufacturers. 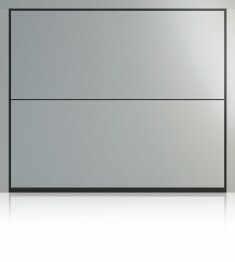 Metal can be used but it is unlikely that there is not a steel door in the standard ranges that cannot be purchased for a similar, if not cheaper, cost. An exception may be if a large area of ventilation is required for somewhere like an underground car park. This could be achieved by infilling the door with a metal mesh rather than a solid panel. Whatever the material used for the infill panel, the door must be properly counter balanced by the springs. The springs can be adjusted to accommodate a certain range of weights. In addition, the weight limit information is supplied by Novoferm. Whilst the upper limit must not be exceeded a lower limit also must be reached. The maximum weight limit is given for the area of the door with an allowance for each square meter. Installation by our expert engineers throughout the North West of England. Supply only anywhere in Mainland UK.